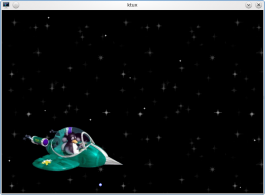 KTux is a screensaver of outer space, with Tux in a spaceship flying by. This page was last modified on 20 September 2010, at 13:33. Content is available under Creative Commons License SA 4.0 unless otherwise noted.